American billionaire to provide around $20 million for the major expansion of the Samaria university. American billionaire Sheldon Adelson will provide about $20 million for the major expansion of a Judea and Samaria university. Ariel University, located in the city of that name, plans to double in size within the next five years, according to a plan promoted by Education Minister Naftali Bennett. 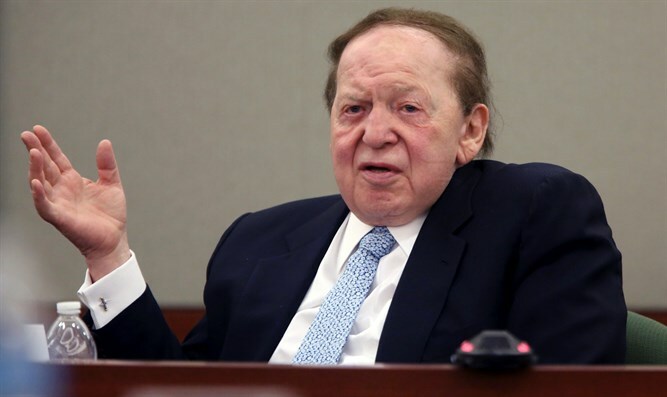 Part of the project, which includes an additional 10 to 12 facilities, is to build a four-year medical school to be named after Adelson, who owns the Israel Hayom newspaper, and his physician wife, Miriam. It would be the sixth medical school in Israel. The estimated cost for the entire project is approximately $113 million. According to Haaretz, though the plan has the support of the finance subcommittee of the Council of Higher Education, it “still needs the approval of the full council” before new faculties can open. The university, which is expected to go from about 56,000 square yards to about 125,000 square yards, has already begun construction on some of the buildings. Since the university shifted from a college to a university in 2012, it has been granted extra funding by the state of about $4 million. With the expansion, the state would have to further increase its funding, Haaretz reported. The expansion will include buildings will be dedicated to natural sciences, social sciences and community health, as well as a faculty of Jewish heritage.